Schools Insurance Program for Employees (SIPE) was established in 1977 as a public agency joint powers authority (JPA) that provides a self-insured workers’ compensation program and risk management services to the public school districts and a community college district in San Luis Obispo County, California. 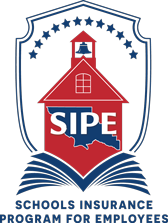 The SIPE Board of Directors includes a representative from each member district and an elected president, vice president, secretary and treasurer who serve as an executive committee to provide direction to the Executive Director of SIPE. The Executive Director oversees various departments and committees that focus on risk management, safety and loss control, with the goal of providing stable and reasonable insurance costs and expedient service to members. SIPE's mission is to provide a quality workers' compensation program and a comprehensive, proactive risk management program that promotes the health and safety of employees and protects the assets of the member school districts.